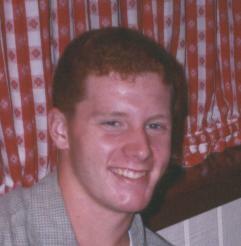 The Stephen Lowe Memorial Scholarship Fund was established in memory of Stephen Wayne Lowe who was killed in a tragic car accident which occurred on December 19, 1997. Stephen died on December 24, 1997, and he was buried in Bartlett, TN, at Memory Hill Gardens on December 27, 1997. He was seventeen years old. Stephen was born on November 12, 1980 in Jackson, Tennessee, to Paul and Sara Lowe. He began his education in Madison County Schools where he attended Pope Elementary in Kindergarten and First Grade. Stephen and his parents moved to Bartlett, Tennessee, in July, 1988, and he continued his education in the Shelby County Schools where he attended Oak Elementary through the Sixth Grade, Shadowlawn Middle School in the Seventh and Eight Grades, and Bolton High School in the Ninth, Tenth and Eleventh Grades. Stephen would have graduated in the Bolton Class of 1999. Stephen was very active at Faith Baptist Church of Bartlett where he was involved in the Youth and Recreation Programs, including Basketball and Softball. Stephen also played for the Freshman, Jr. Varsity and Varsity Basketball teams at Bolton. He was a member of the Bolton Key Club, a service organization, at the time of his death.